Earlier this year, Shyp made it possible for its users to send to anyone without the hassle of knowing the address. Turns out, this kind of method is a boon for eBay’s buyers and sellers who want to move their products with the extra value of privacy and security. 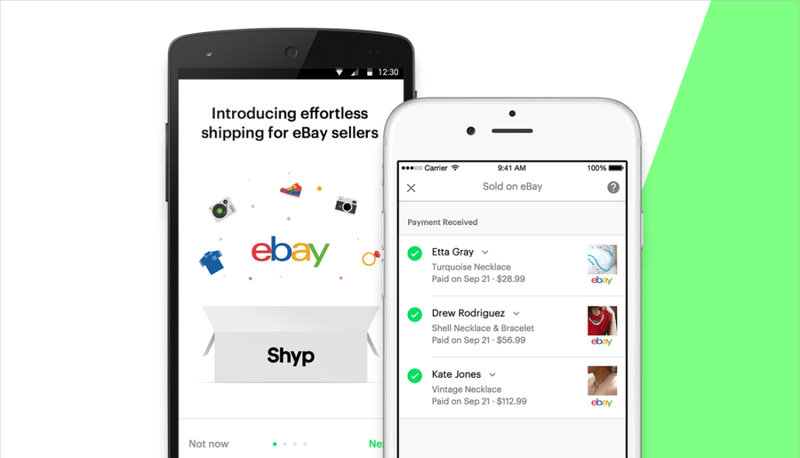 The startup announced today that its new partnership with eBay sellers connects accounts directly within the Shyp app, so they can quickly select items for pickup and eventual shipment. When your items are packed and ready to ship, we automatically update your eBay listing with tracking and carrier information, and notify your buyers that their items are on the way. Use the Shyp app to track your shipments all the way to delivery and maintain a record of the eBay items you’ve sold and shipped. According to the FAQ for the service, couriers will arrive in 20 minutes can take as many as 20 packages, as well as items that weigh up to 50 pounds. In order to give an extra incentive, Shyp is also waiving the normal $5 fee associated with service. But that won’t last forever — the company says that will change at the end of January of next year. Currently, the service is available in San Francisco, Los Angeles, New York, Miami, and Chicago.